Hello Hello, Quilt Market is starting on Saturday! I am scurrying around the studio trying to get things finished up and ready for market. Yes, I will most likely be sewing on the airplane, I still have that much to do. I am super excited about some new things I will be debuting at market and so I thought I would give you a little glimpse at new things to come. First up....New Fabric! I will have two new lines of fabric debuting at market. If you're a quilt shop or you want a quilt shop to get this fabric, now is the time to call up In The Beginning Fabrics and get your order in. If you are a sewer or quilter who is going to want some of this fabric, now is the time to ask your favorite quilt shop to order it. 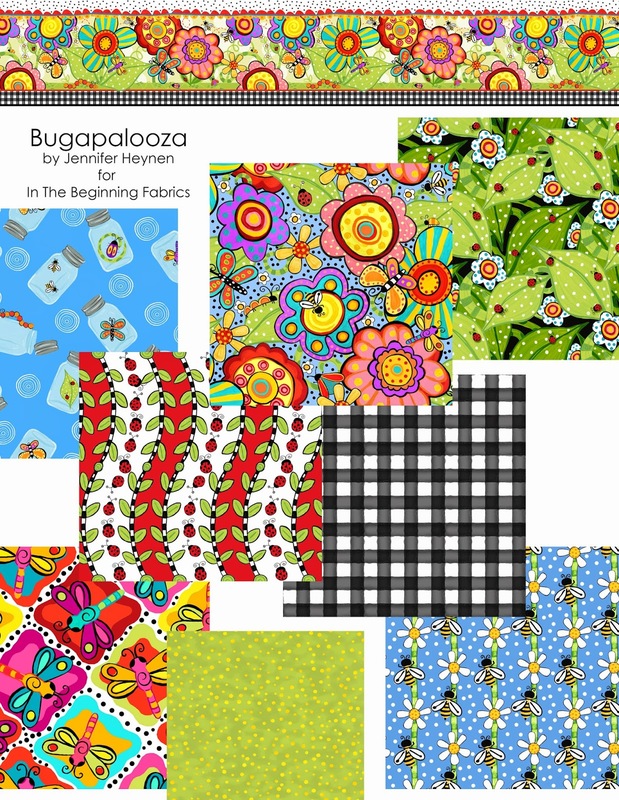 Bugapalooza will be in stores and ready to be sewn with in April. I've always been a big fan of bugs and for a long time were the main focus of my tiles and other art. So designing a line of fabrics with bugs and flowers was so much fun. There are several color ways and 28 fabrics in all. Here are a few...it's a sneak peek remember? The second line at market is Jolly Holiday in the City. It will be hitting stores in June. 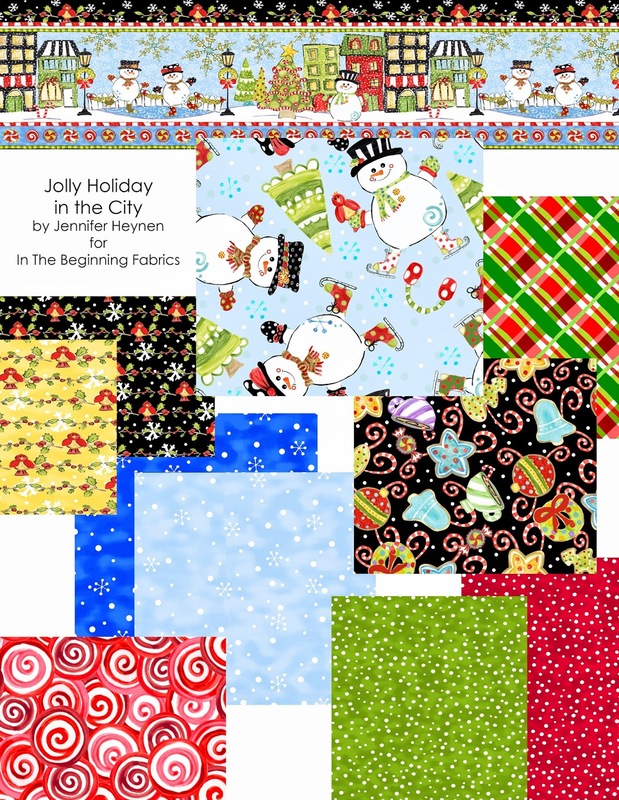 I have brought back my snowmen from Jolly Holiday, my first round of holiday fabric. This time the jolly little snowmen and snow women are ice skating and having fun in the city. There are 25 fabrics in this line. It's back to Quilt Market prep for me!